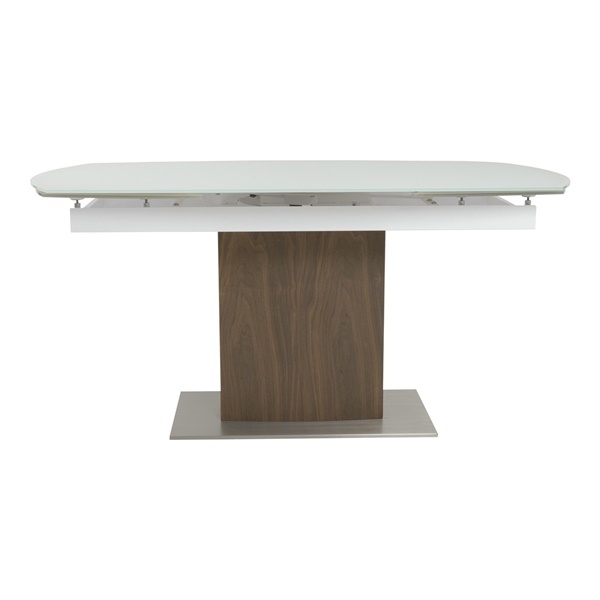 Reap the benefits of a sleek, sophisticated dining table thanks to the Ayana Extension Dining Table from Eurostyle. This dining table features two extension swivel leaves and an automatic extension mechanism, ensuring you can expand the table's top with ease. Plus, the dining table offers an American walnut veneer column that is both stylish and practical and a 10mm tempered frosted pure white glass top that will sparkle consistently. Choose a top-notch dining table that will dazzle in a modern or traditional setting with the Ayana Extension Dining Table.